The entire staff of the Ulika Food Blog is on vacation and there will be no new blog post until the week of Jan 5th. Please check back for some new and exiting things to come in 2009. 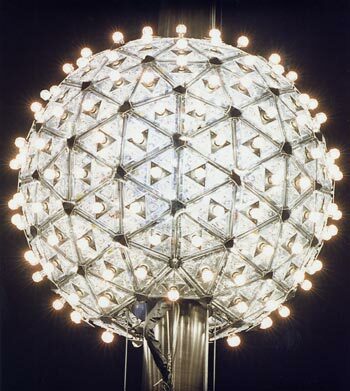 Have a wonderful and safe New Year. Burger King, famous for the flame broiled Whopper, has now entered the world of body spray. As if the choice between Axe and Tag was not enough, BK has now proudly introduced Flame into the market. That's right, for the suggested retail price of $3.99, you can smell like a second rate fast food burger. Maybe they can have that creepy King start running around town spraying folks. Sausage balls, along with homemade hot cocoa, are one of the Christmas morning traditions in my family. One of the reasons that I look forward to it every year is because Christmas morning at my mom's house is literally the one day of the year that I ever have sausage balls. I sense that some of you might be smirking. Yes, sadly, in the court of public opinion, sausage balls seem to have been relegated to that realm occupied by fruitcake and eggnog - holiday foods that everyone serves, but no one really likes. And truth be told, there are a lot of bad sausage balls floating around out there. I think the problem with most sausage balls is that they're too dry. My Aunt Judy's recipe is the only one I've seen that adds water to the usual mix of sausage, cheese and Bisquick. The resulting balls actually don't have much of a ball shape, but rather look more like little mounds. But they have a much better texture, in my opinion - almost like little fresh-from-the-oven savory cookies. And speaking of fresh-from-the-oven, another tip that I have learned is that sausage balls are much better when they're fresh. Take them out of the oven, let them rest for 2-3 minutes, then dig in. Once they get to room temperature, they're not nearly as good. 1. Brown sausage, then chop it up fine (or run it through the food processor for a couple of pulses). 2. Combine sausage, cheese, Bisquick, water and however much pepper you think is appropriate in a bowl and mix thoroughly. 3. Chill in refrigerator for at least 30 minutes. 4. Scoop spoonfuls of the mix onto a greased baking sheet. 5. Bake at 350* for 20 minutes or until the edges of the mounds are brown and crispy. How can you have Christmas with out some Elvis? Well, you can't. So here is Elvis singing Blue Christmas. Remember to get all of your shopping done. If you are trying to think of that last minute gift, remember that bbq makes a wonderful present. There is no mile in Middle Tennessee more densely populated with barbecue restaurants than the stretch of Clarksville Highway from MetroCenter to Bordeaux. There are no less than four in this stretch. Nick's Famous Bar-B-Q is located at the intersection of Clarksville Highway and MetroCenter Boulevard. Many Nashvillians will recognize the Nick's name and logo from area Kroger stores, which prominently feature displays of their barbecue sauce. How Nick's was able to land this deal I am not sure, but though their sauce has a high retail profile, I would venture to guess that most people in this area do not even know that Nick's has a restaurant. But after tasting the food, maybe that is for the best. Nick's is the only barbecue restaurant in North Nashville that is not owned and operated by African Americans. It is also the only one at which you have to order through a bulletproof glass window. This makes for a rather bleak dining atmosphere. But what about the food? At this point in this series of reports, I have gotten very used to finding pickles on my barbecue sandwich (is this a Nashville thing?). But Nick's takes it to another level - there were 12 pickles on this sandwich. But even if you were a pickle fanatic, I'm not sure a dozen dill chips could salvage this sandwich. The pork was plenty juicy, having benefited from a dousing of vinegar-based sauce. But much like Whitts and their bevy of copycats, this just doesn't taste like barbecue. There is no smoke and little to no seasoning on the meat. With this order of Nick's ribs, we may have a new world record for number of pickles used as a garnish. Twenty-two! Again, though, the product underneath failed to deliver. These ribs were bland and dry. A dip in Nick's signature Worcestershire-heavy barbecue sauce makes them much more tolerable. Across the river and in the heart of Bordeaux sits Joe's Bar-B-Que & Fish. Joe's is drive-thru only and boasts an extensive menu. The barbecue sandwich with slaw is one big mess. This is another sandwich that you should not even think about trying to pick up. The bottom bun is buried under a mound of saucy pulled pork, coarsely chopped slaw and pickles. The pork is so saturated with thick ketchup-based barbecue sauce that it almost has the consistency of a sloppy joe. Nice smoky pork flavor under that all that sauce, though. Sauce dominated the ribs, too. An excess of the stuff resulted in a mostly mushy exterior, save for a few nicely charred pieces. Inside was juicy and tender. A little further up the road is Real Deal BBQ and Catering. It shares the same red and yellow paint scheme as Joe's. Perhaps they have tapped into the psychology of color, which says that red, yellow and orange are colors that make people hungry (think fast food color schemes). Or maybe they're just USC fans. Anyway, Real Deal has a huge smoker set up next to their trailer and when I was there, it was just billowing smoke across the parking lot of the adjacent Citgo. Upon tasting the pork sandwich, it is apparent that that this is in fact the real deal. The meat was very smoky and pulled in big coarse pieces. There was a good amount of bark present. If I had a complaint, it was that there was an excessive amount of fat present as well - big mouthful-sized pieces that should have been removed. Other than that, this was a nice sandwich. The sauce - equal parts vinegar and tomato - was a nice complement. The ribs were great on taste, but lacking in the texture department. They were perfectly seasoned with salt, pepper and spices, and again, the sauce was a nice touch. 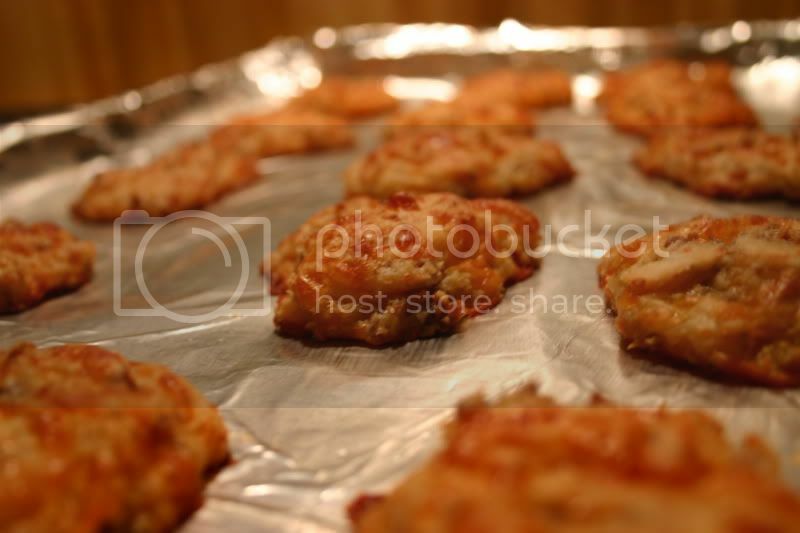 But they were overcooked, resulting in a mushy, flaccid texture. Nearly right across the street from Real Deal is Old Timer's Pit Bar-B-Que & Fish. Converted from an old ranch style house, this is one of the only barbecue restaurants in this area that has a dining room, although everyone was getting theirs to go when I was there. This shoulder sandwich was solid. The pork was very tasty - light hickory smoke flavor, just salty enough - but it lost some of its luster with a mushy texture. The sauce was fantastically sweet and spicy. Old Timer's ribs were the highlight of this week's report. Yes, they were a bit heavy-handed with the sauce, but the sauce was great, so it's okay. These were St. Louis style spares which were cooked just about perfectly - tender, but still clinging loosely to the bone. Until now, I was beginning to lose hope that a local barbecue joint could cook good ribs, but on this day, Old Timer's delivered. 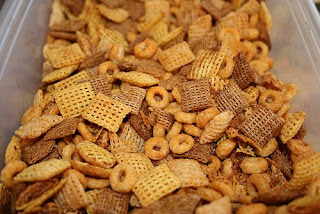 This one seems so obvious, but apparently there is need out there for a good Chex Mix recipe. It seems that all of the Chex cereal boxes now provide recipes for their "Chex mix" that talk about microwaving ingredients!?! Microwaving? No sir. We bake our Chex mix. Bake and stir, bake and stir. And we use real butter. Margarine is for the weak. 1. Pre-heat your oven to 250°F. 2. Cut the butter into small chunks and place it in a large roasting pan. Melt the butter in the oven. 3. Stir in the Worcestershire and spices, then gradually stir in the remaining ingredients until they are all evenly coated. 4. Bake the mix for 1 hour, stirring every 15 minutes to re-coat the cereals. 5. Allow the mix to cool, then store it in an airtight container for at least four hours (something great goes on with the flavor inside the airtight container). I am anti-bagel chip. You may be pro-bagel chip, and that's okay. I have heard about people wanting to add things like goldfish, cheese nips, wasabi peas, M&Ms...it's your world. You can switch out the pretzels and/or the pecans for other nuts and various goodies - just keep the total cup amounts the same to keep the ratios good on the butter and spices. Rob talked a while back about The Salt Lick and their dry rub. 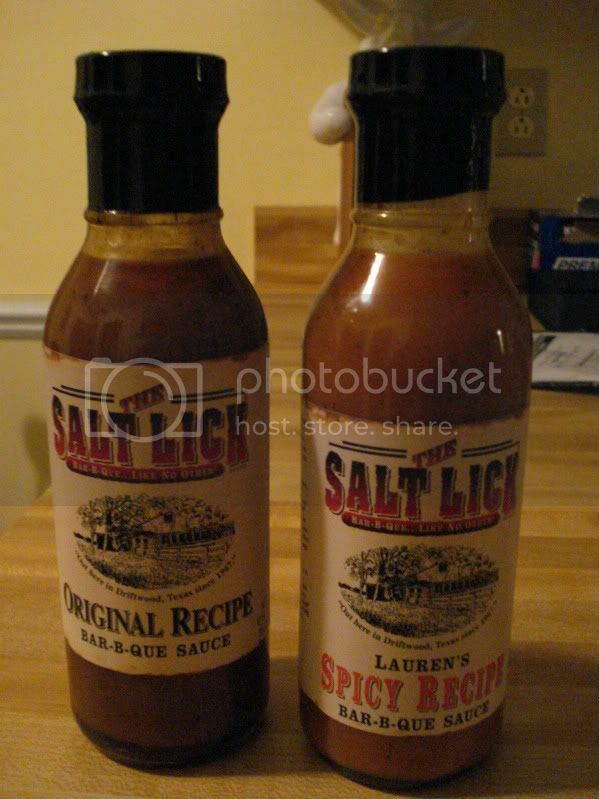 Today we look at their two signature barbecue sauces. First: the Original Recipe. This sauce is definitely outside the box. The roughest of generalizations might label this a South Carolina mustard-based sauce, but that's not quite it. It tastes like a modified honey mustard sauce - mostly sweet, but a little bit tangy from the mustard. But it's more complex than honey mustard, with exotic notes of tamarind and garlic. And it has a smooth, almost oily mouthfeel that is very unique. This would be a delightful complement to many different things. The "Lauren's Spicy Recipe" version of the sauce is where this formula truly reaches its greatest height. It's very similar to its Original Recipe sibling, with the same sweet mustard base and same silky texture. But this version has had a healthy dose of Habanero added to it, and this is a good thing. The added heat is a nice counterpoint to the sweetness of the original formula, and adds a needed extra dimension to the flavor. True flameheads, however, may not think this sauce is hot enough. It will definitely singe you, but it's not the kind of masochism-in-a-bottle that usually comes with something labled "hot". This week we really get down to business. Jefferson Street is the historic heart and soul of Nashville's African American community. It is home to the city's three historically black universities - Fisk University, Meharry Medical College and Tennessee State University. In the 40s, 50s and 60s, Jefferson Street was a thriving hotspot of jazz and R&B, with artists like Duke Ellington, Count Basie, Ray Charles, Fats Domino and Little Richard regularly playing the clubs and ballrooms that lined the street. But the construction of Interstate 40 in the 1960s ran roughshod through through this district, and by all accounts it has never been the same since. Today, it is an area that has felt the sting of years of urban blight, though there continue to be efforts of renewal in some patches. And in the old as well as the new, barbecue thrives. No area of Nashville is more rich with barbecue restaurants than North Nashville. Whether it be Jefferson Street or Clarksville Highway (which we will examine next week), you don't have to look very far to find barbecue. Pop's Bar-B-Q is not actually on Jefferson Street, but a couple of blocks away at the intersection of Clifton Ave and 28th Ave N. As with nearly all of the barbecue places in this area, it is takeout only. As you look over the duct-taped menu, you can see that there are some unique items available. Yes, you can get a goat sandwich. Only on Saturdays, though. Pig? You can get that every day. Before it was even removed from the paper bag, I could tell that the shoulder sandwich was very...juicy. I'm not sure if the meat was soaking in a bath of sauce beforehand or if the sauce was applied after the meat was put to bun, but this sandwich was thoroughly saturated with sauce, to the point that the bottom half of the bun had turned to mush. Perhaps a better way to enjoy Pop's pulled pork is with a fork. As you can see above, if you order by the pound or half pound, it comes with so much sauce that it's almost like a stew. The sauce is thin and subtle - equal parts tomato and vinegar, slightly sweet. The actual meat is smoky and has a nice flavor, but is so saturated with sauce that it has lost any textural definition. The ribs at each of the restaurants in this report were very similar. All were untrimmed spares, cooked just shy of fall-off-the-bone. The exteriors were chewy, with a nice salty flavor and heavy on the smoke. The differentiation was in the sauce, which was not applied until the ribs were served. In the case of Pop's, the sauce is the same thin stuff that was on the shoulder. It put a nice glaze on the ribs, but much of it wound up pooled in the bottom of the styrofoam container. It is very common for the black-owned barbecue restaurants in Nashville to also serve hot fish sandwiches, which are kind of a local specialty involving fried whiting filets dressed with hot sauce, yellow mustard, raw onions and pickles (I predict a series of Ulika hot fish sandwich reports in the future...but I digress). TJ's Bar-B-Q & Fish even has fish in the name. TJ's is in an old house at the corner of Jefferson and Ed Temple Boulevard, right across the street from TSU. The shoulder sandwich at TJ's could not be more different than Pop's. The pork is pulled in large, coarse pieces that, unfortunately, are dry and bland. As a result, the sandwich leans on a heavy application of thick tomato-based sauce for its flavor. The ribs are a little better. They are big, meaty spareribs, well-seasoned and toothsome, slathered with (but perhaps overwhelmed by) the thick tomatoey sauce. Mary's Bar-B-Que is the undisputed queen of Jefferson Street. Known for staying open really late, their clientele spans all racial and socioeconomic boundaries. 2 AM has traditionally been the closing time on weekends, but the woman working when I was there this time said they now close at midnight. Whatever the current closing time, I thought it would only be right for this review to take place at night. So it did. This shoulder sandwich on cornbread is outstanding. It's got a little touch of Memphis with the slaw, and the hoecakes are a unique twist. What the hoecakes lack in manageability, they make up for in taste and texture, especially if you can get fresh ones like I did. The pulled pork at Mary's is definitely the best I've had on Jefferson Street. There's not terribly much depth of flavor, but the texture is perfect - juicy pieces of pork with crispy little bits of bark throughout. It's a great match for the cool, sweet crunch of the slaw. And I haven't even talked about the sauce yet! Mary's sauce is dynamite. It's medium thick and straight up orange in color. It's just a little sweet, but mostly spicy and heavy on the mustard, with ketchup as more of an afterthought. Even the mild that I order gives a signifianct kick to the sandwich. I shudder to think how hot the hot must be. The ribs themselves are on par with the other ribs I've had in these reports - chewy salty bark with a tender juicy interior. With Mary's awesome sauce on the side, though, these ribs are a treat to eat. It made me laugh that when you order a rib sandwich at Mary's, they actually assemble it like a sandwich, with a slice of bread on the bottom and another on top. Mary's serves rib tips, which is interesting considering their ribs come with the tips still attached. Anyway, I am a rib tip fan (rib tips are kind of like the burnt ends of ribs! ), but these rib tips are an abomination. It's immediately clear that these tips did not come out of the same cooker as the shoulder and the ribs. They are stark white in color and have no evidence of smoke. Furthermore, they are not well done enough - there are no charred and crunchy edges and no melt-in-your-mouth tender meat inside. If you need some juicy, moist, tender, slow smoked BBQ for your holiday party, just shoot me an email at ulikabbq@gmail.com. Why cook when I can cook for you. BBQ is nice and easy for you to serve and everyone loves it. It works great on little rolls for a snack tray too. BBQ is sold by the pound and is available for pickup or delivery in the Nashville area - email for pricing and date availability. To get everyone in the Christmas spirit, I have decided to bring you some Christmas tunes up until the big day. Now BP is probably more qualified for this series (he has produced three classic Christmas jam CDs), but I will at least give it a shot. The first song in our series is a family favorite, Christmas in Hollis. I have never even been to Hollis Queens, but Run DMC sure makes it sound nice. While chicken and collards are not standard Christmas fare at my house, I sure wouldn't mind to wake up Christmas morning to the smell of some chicken. Especially if it were some hot chicken. Well, enjoy some Christmas rap and tune in next week for Christmas part two. 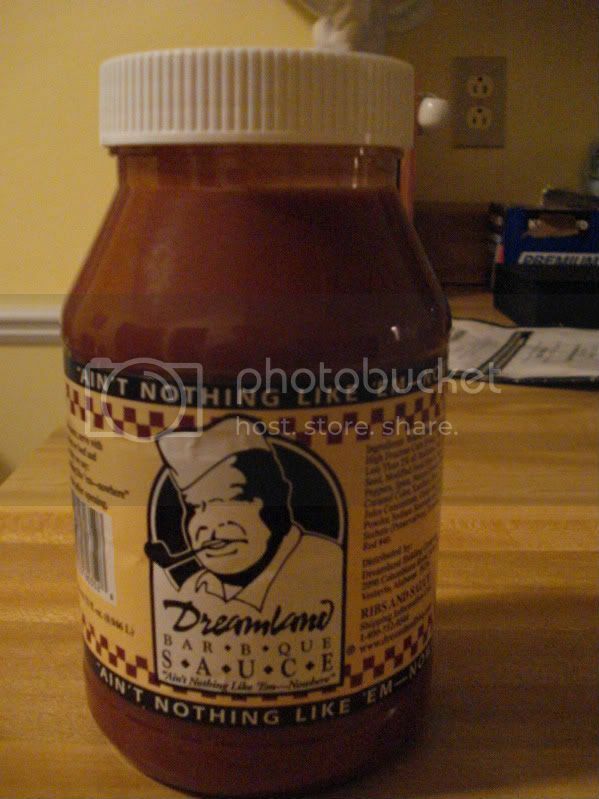 I've never been to Dreamland, but I've probably heard more about it than any other barbecue restaurant in the South. Someday soon, I'm going to go, and when I do, it will be to the original in Tuscaloosa. Until then, I'll have to be content to enjoy their barbecue sauce, which is justifiably well-loved. A simple shake of the big plastic jar makes it clear that this is a vinegar-based sauce. 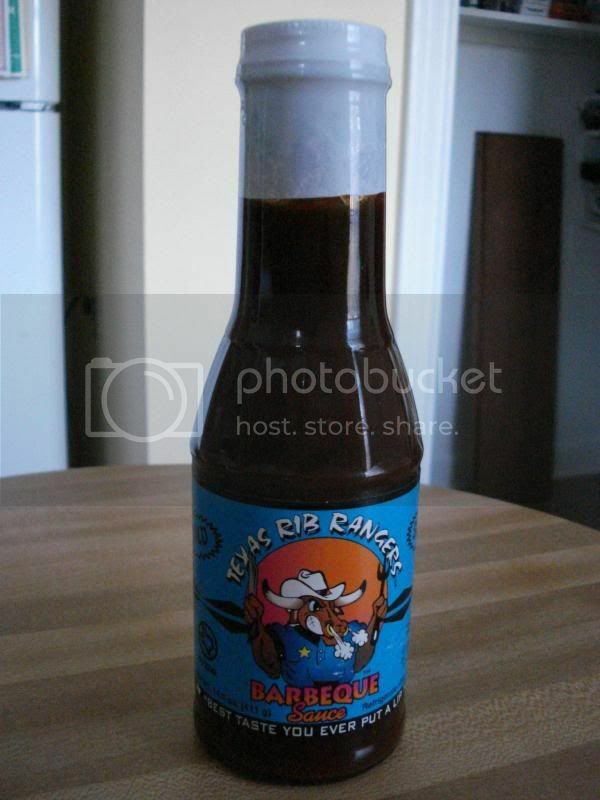 It's thin, and by color, looks more like a hot sauce than a barbecue sauce. Instinctively, when I taste a sauce with these characteristics, I brace for the jolt - that sudden punch in the mouth that vinegar sauces so often deliver. But this sauce was much smoother than expected. The first thing you taste is the cool earthy sweetness of tomatoes - every so slightly sweet - which serves to cushion the punch of the vinegar and pepper. It's a great progression of flavors, unlike anything I've had before. I can't wait until I can try it on some of those famous Dreamland ribs! When you think of cake, what comes to mind? Do you picture a nice red velvet cake with cream cheese icing? Or maybe a chocolate-covered yellow cake? ...and while I am not a cake expert by any means, I would have to say that this beefcake that I found, well, it takes the cake. Yes, that's right. 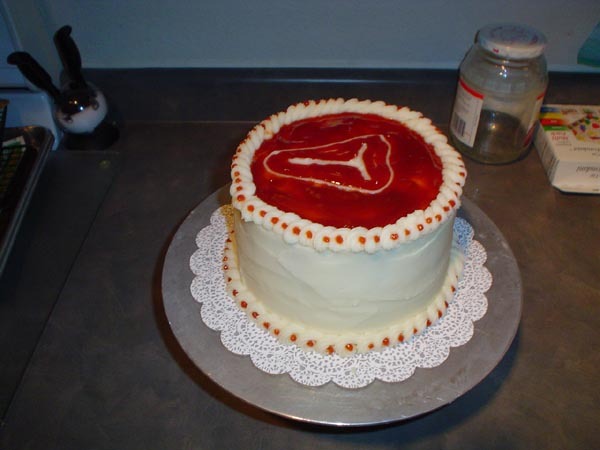 It's a meat cake, constructed with layers of meat and ketchup with mashed potato icing. Does it get any better than this? I know what my next birthday cake will be.